Deco Party UK offers an original range of Halloween Party Supplies, most of for Halloween Room decorating and table decorations. 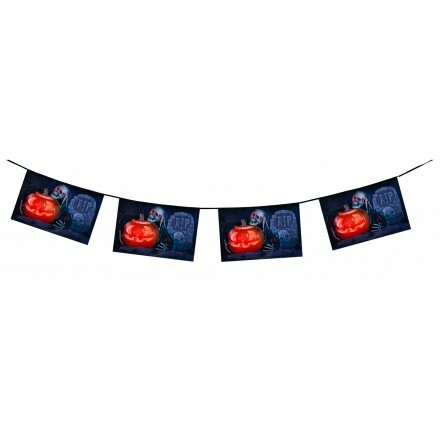 Our Halloween banner, Halloween Bunting, Halloween hanging swirls, Halloween confetti are made in France and all designs are created by ourselves, so you only can buy our unique party supplies on our online shop. Do you need Halloween party ideas for any occasion? 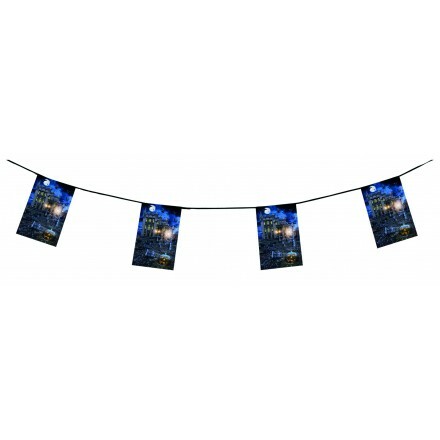 Deco Party UK also supplies top quality Halloween decorations at very low prices as Halloween Cutouts, Halloween Pennant bunting for outdoor Halloween decorations in orange and black, Halloween honeycomb decorations with our garlands, balls and fans. Our Halloween Party Room are great for adding the finish touch to your Halloween Home Décor. Our original designs are created directly to our factory, so it is an unique Halloween Party Décor you buy direct from the factory! 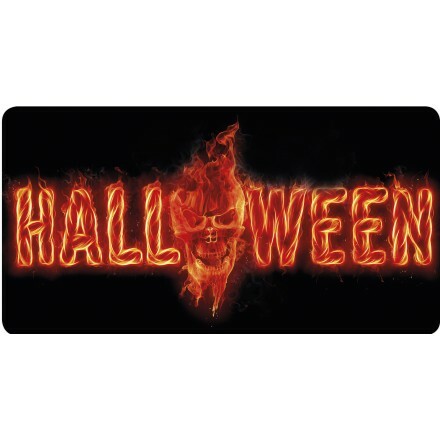 Perfect for Pubs, bars, hotels, restaurants, schools, night clubs we also supply our cheap Halloween decorations for home. 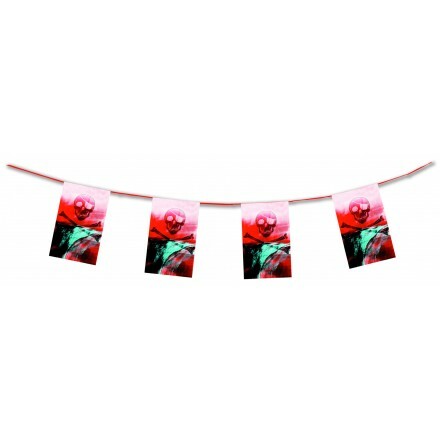 Our Halloween paper bunting are also flame-retardant so perfect for indoor Halloween decorations. Professional decorators love this quality so buy now our Halloween decorations online. We make and supply bunting with rectangle, triangle or square shapes, so with all styles. 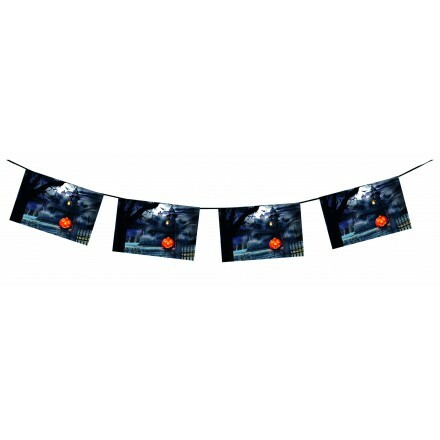 Designed with photo, our Halloween bunting and Halloween banners are unique and realist, your guests will appreciate your Halloween atmosphere! We propose a square halloween banner with R.I.P. 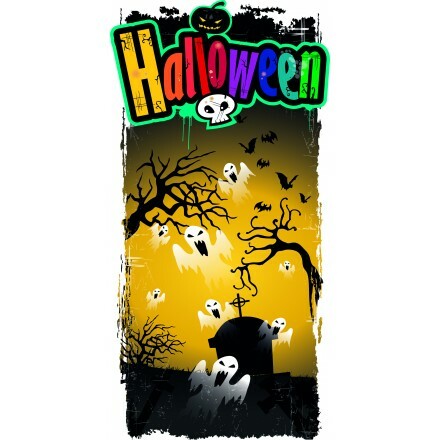 with cemetery and raven, a rectangle halloween banner with Rest In Peace & skull, another rectangle Halloween bunting with haunted castle and pumkins printed on, a triangle halloween Ghosts Banner black and white, a Halloween Witch banner on her broom. 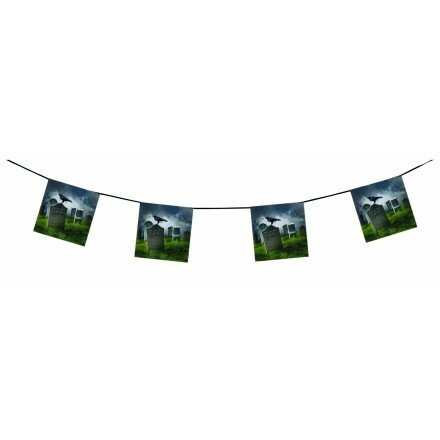 All our Halloween paper bunting measure 15ft / 4.50m lengths. 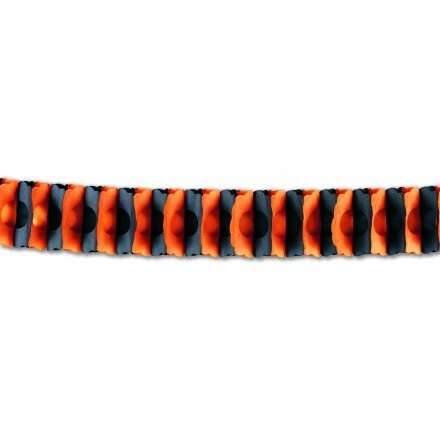 Deco Party UK supplies its Halloween decorations for office, for that you can buy online our Halloween paper garlands, 15ft / 4.50m lengths, in flame-resistant tissue paper, orange and black. 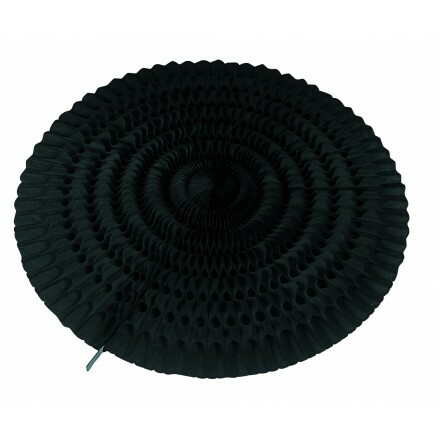 You can add your basket our wonderful tissue paper balls, in orange or black, either in 25cm or 50cm diameter. 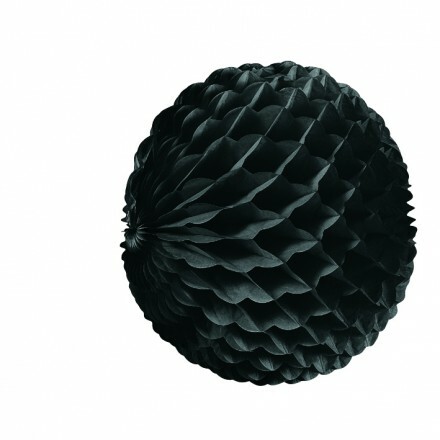 Our flameproof tissue paper balls are great to be hung from the ceiling or from branches of trees. 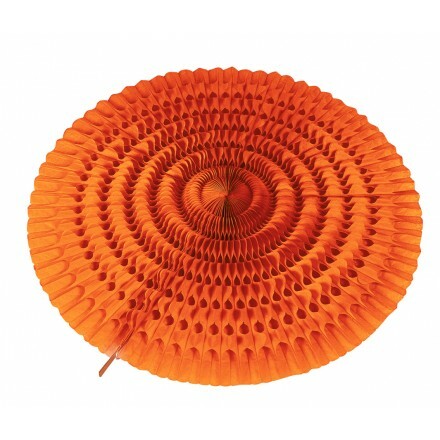 Another idea would be to buy our tissue paper fans, 50cm diameter, orange or black, to be hung from the wall. 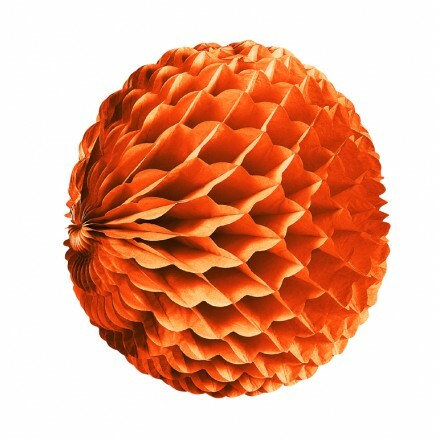 Our satin wrap tissue paper is made with care and so our Halloween honeycomb decorations are top quality value. 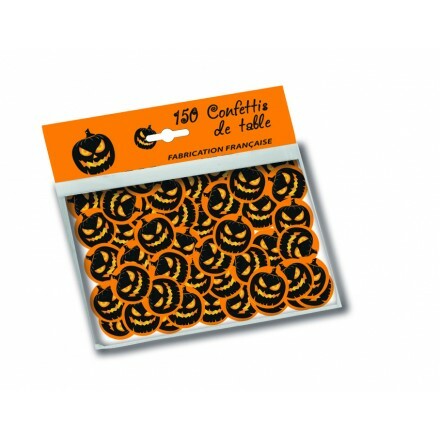 Our Halloween paper confetti are perfect for your lunch : each Halloween table confetti is circle shape, 25mm diameter. You can either buy our Ghosts Confetti in white and black, our vampire bat confetti in orange and black or our pumpkins in orange and black. 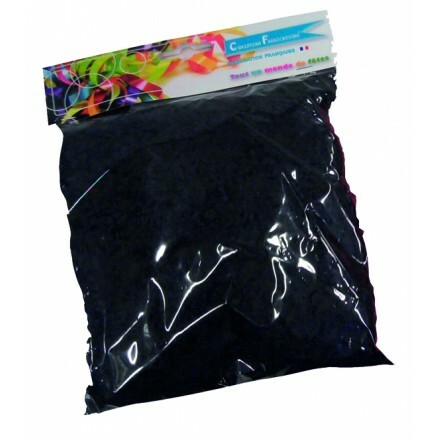 We also offer tissue paper confetti in orange and black, either to throw in the air or to inflate into latex balloons. An original and very cheap Halloween table decoration idea. 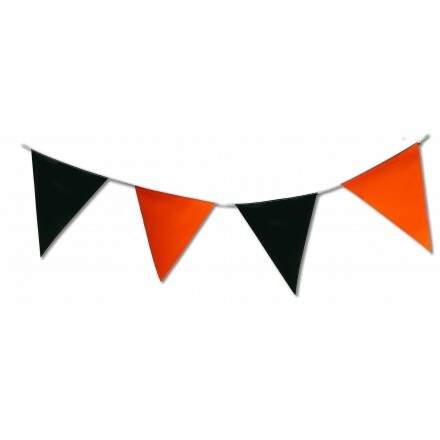 If you need outdoor Halloween decorations, you can buy online our pennant banner, each triangle measures 20x30cm, alterned orange and black colours. 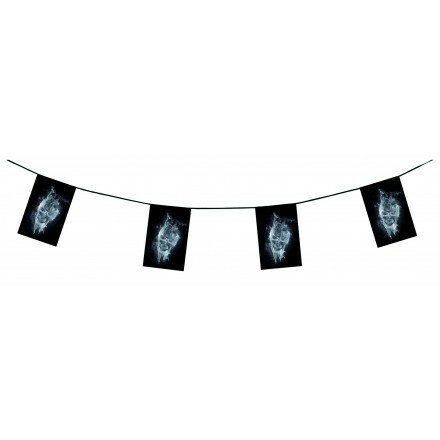 Another Halloween plastic bunting is in rectangle shape, 20x30cm, with a white skull on a black background. For your Halloween garden party these top quality Halloween decorations will add your finish touch! 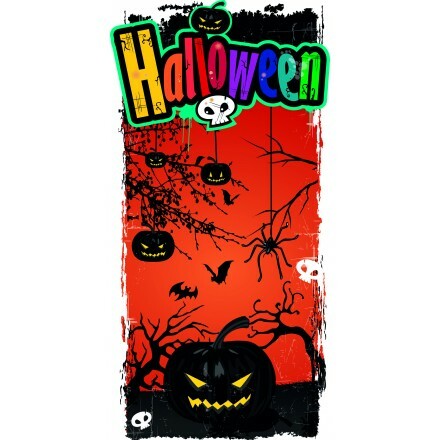 Our Halloween paper banner measure 25x50cm, rectangle shape, printed both sides, with a hole on the top to hang it easily. You can buy three different designs one with pumpkins and spider, second with ghosts, pumkins and raven in a cemetery, third with vampire bat out of haunted castle. Give your finish touch with our foil pumpkins hanging swirls. 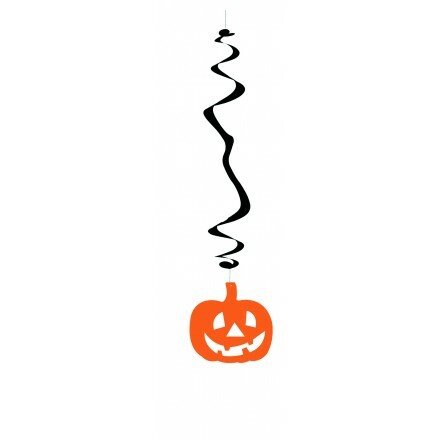 Flame-retardant these swirls packed in 6 pieces measure 80cm lengths, with black streamer and orange pumpkins. We will also want to create another halloween hanging decoration with ghosts. A hook is on the top of swirls, so very easy to hang from the ceiling. 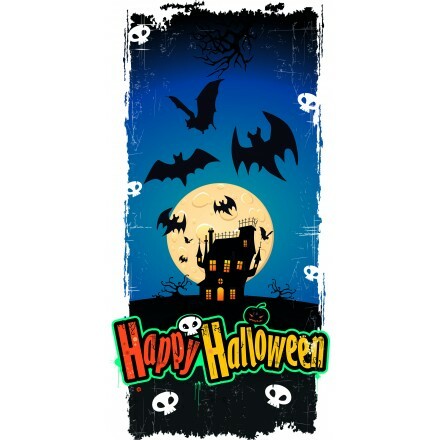 Need Halloween decorations for classroom, you can buy from Deco Party UK paper hand-waving flags with crazy skull, kids and children can wave them easily or use as a table decoration. Background is black and skull is white. Flag is printed both sides assemble on a white plastic stick. Deco Party UK is French Halloween party decoration and party supplies manufacturer and so we can supply you all our Halloween decorations in bulk. For that, feel free to contact us for further information to get wholesale prices. 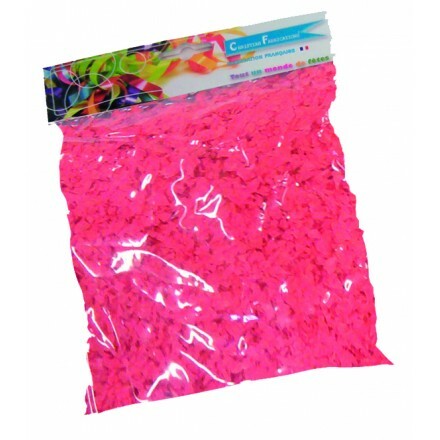 We are able to supply high quantity as we have supplied party resellers, party retailers, party importers and party wholesalers for many years!